My name is Carol Petersen and I run my own business, translating TV series and films for dubbing into Swedish. I have also translated a great number of children and YA books, as well as adult fiction and fact. My main source language is English, but I have worked with Danish, German and French source texts as well. And my translating from Swedish into English has also been known to happen. Currently, I am busy translating Super Monsters (about a group of kids who turn into cute monsters when the sun goes down) and Lego Elves for Swedish dubbing, and I am eagerly awaiting the Swedish airing of Fangbone, an animated series about a young and very, very polite barbarian. The series was a great joy to translate, and I am looking forward to hearing what the Swedish voice talents have made of it all. On a more general note: From time to time my short stories and novellas are published in various literary and weekly magazines, and on occasion my ghost-written novels – so far, crime novels only – are published by various publishing houses. As other people are credited as the authors of these novels, and my part in writing them is a secret, suffice it to say that it feels pretty good to see those titles on display in the stores. What else to tell? Maybe something about my interests? I love music (mostly from the Renaissance and the Baroque eras) and film (mostly action, fantasy and sci-fi). I enjoy sports (e.g. long distance running and a spot of martial arts) just as much as I enjoy reading a really good book (Janet Frame and Margaret Atwood are huge favourites). I also love to write, to play the piano and the guitar, to sing (Bach, preferably). But most of all: every second of the day I pine for my precious new toy – a beautiful birthday gift from wonderful Mr. Cohab – a Wacom Intous Pro drawing tablet. 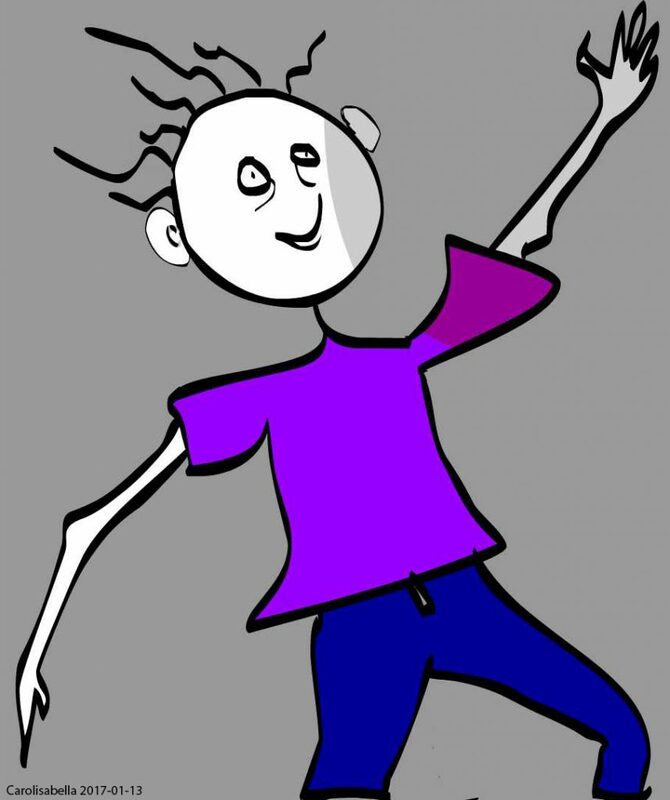 My very first drawing tablet picture: some guy, unknown to me, kind enough to illustrate my great happiness.